Dawes married in 1768 during the height of tensions with Britain and was applauded for wearing a suit at the wedding which was made completely in America, instead of one made in Great Britain. He was involved in the militia prior to the Revolution, but was not as central a figure in the Boston patriot movement as Paul Revere, Samuel Adams or John Hancock. 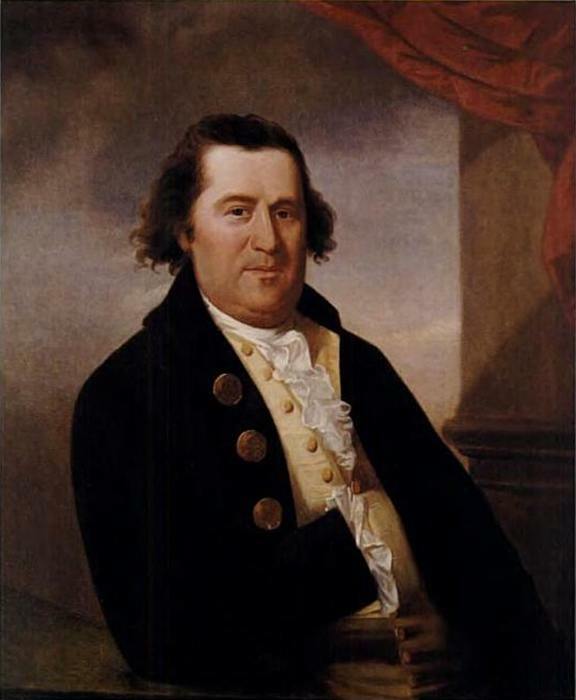 He was well-known enough, however, that when Dr. Joseph Warren learned of British plans to confiscate the patriots' ammunition stores at Concord, one of the people he turned to was William Dawes. Dr. Warren was the head of the patriot movement in Boston and had been aware for some weeks that the British were planning a major move. When he learned from his source inside British General Thomas Gage's inner circle (thought to be Gage's wife) that the action would take place on April 19, 1775, he acquired the services of Paul Revere and William Dawes to send a message to Samuel Adams and John Hancock in Lexington. Paul Revere was to cross the Charles River and ride west, while Dawes was to ride south across Boston Neck, the narrow isthmus connecting the island of Boston to the mainland. 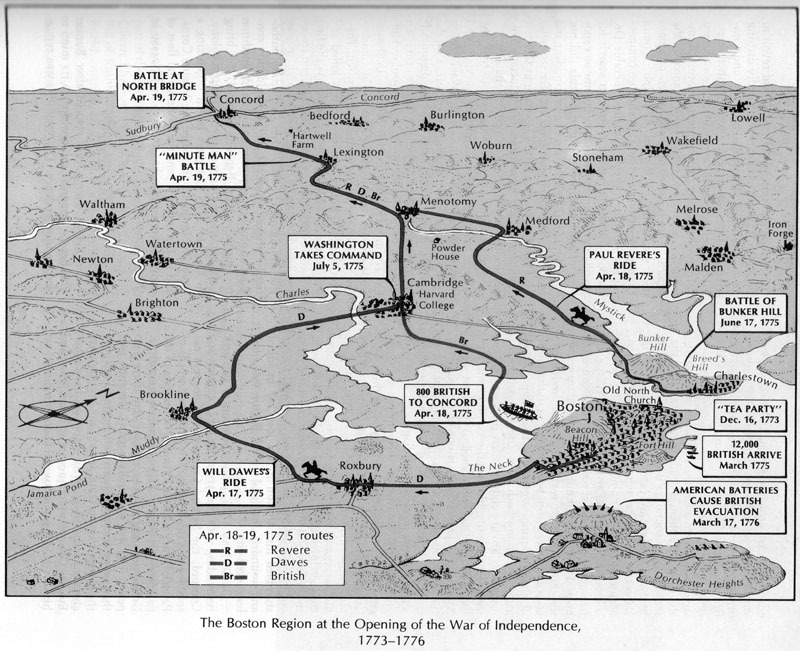 Dawes' first obstacle was getting past the British sentries on the very narrow Boston Neck. He had used his frequent travels out of Boston to befriend many of the British soldiers and it is believed he persuaded one of his "friends" to let him through. Dawes then rode through the towns of Roxbury, Brookline, Brighton, Cambridge and Menotomy. He did not warn others along the way as Revere did, probably because he did not know the local patriot leaders as well as Revere. Dawes arrived in Lexington at 12:30 am on April 19, a half hour after Revere. After a short rest, the two rode west to Concord and met Dr. Samuel Prescott along the way. A British patrol spotted them and gave chase. The three broke up and Revere was captured. Prescott escaped to warn Concord of the oncoming British. Dawes was chased by two British soldiers into a local farm where he used a ruse to trick them into leaving. He yelled out, "We've got two of them! Surround them boys!" This tricked the soldiers into thinking there were more colonists waiting for them so they sped off. Dawes was then thrown from his horse, which ran off, and he walked back to Lexington. Little is known about Dawes' life after the Revolution. He had seven children and ran a grocery business. He died in 1799 at the age of 53. For more than 200 years it was believed that William Dawes was buried in the Dawes' ancestral plot in the King's Chapel Burial Ground in Boston, but in 2007, historian Al Maze discovered documents proving Dawes was originally buried with his first wife's family in Boston's Central Burying Ground and later moved to Forest Hills Cemetery.